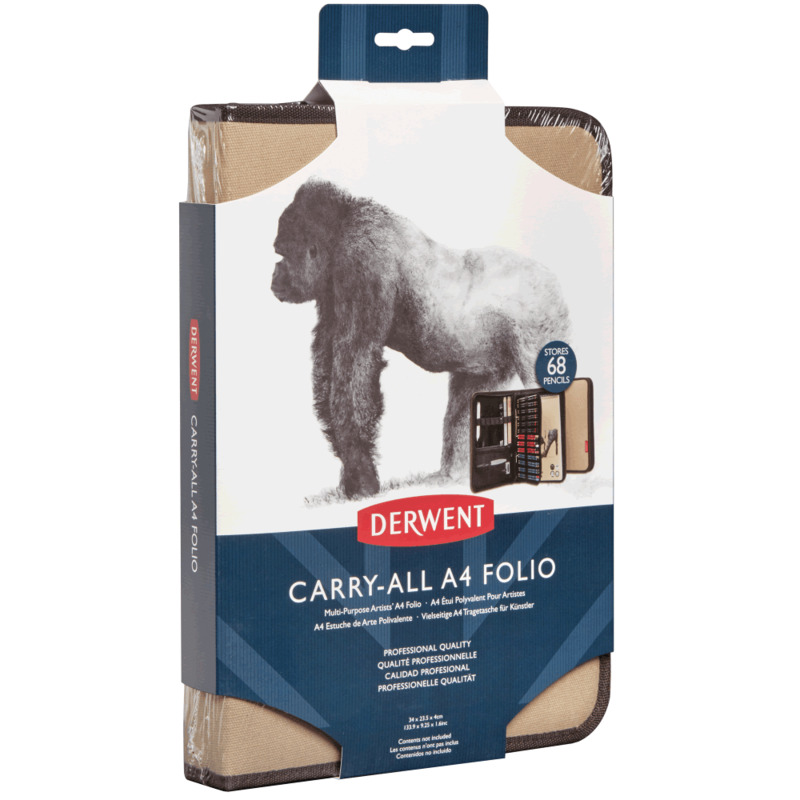 The Derwent carry all A4 folio is a multi purpose for storing pencils, accessories and an A4 pad this handy sized case is ideal for travel and using while out and about. The woven canvas outer is robust and can be zipped to keep everything secure, the folio case contains a 3 ring binder with a carry all sleeve which in addition to the internal storage can hold up to 68 pencils, the internal mesh zipped section is suitable for holding essentials and back panel will hold you A4 pad in place. A well made case particularly useful for pens, pencils or brushes. Large enough to easily hold an A4 sketch pad or A5 sketch pad and compact water colour set. Stiff covers so will not accept bulky items.